The stages of statement necklaces have more than passed for me, and nowadays I tend to crave the dainty, tiny accents round my collar, and when in America I found some perfect candidates in Forever 21 for the equivalent of about a £1-£2 so I picked up a good little trio. The first is two rings kind of interlinked into each other. This is different to anything I've seen before so I couldn't resist it of course. I've been wearing this with my beige-y coloured jumper and LOVING it to be fair. I also like to wear this with the tiny triangle necklace as they look rather nice with one shorter than the other. They both have a normal chain, and I love how they look barely-there. The other is on a different more boxy chain, and is a small 'v'. This one is like others I have seen before but I think it's a good staple to own so of course I chose that one too. 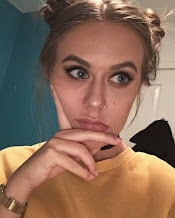 I wish I had looked at the other jewellery in Forever 21 as there were some really affordable pieces in there, and if you get a chance to go in there either in London or elsewhere, definitely browse the masses of jewellery. 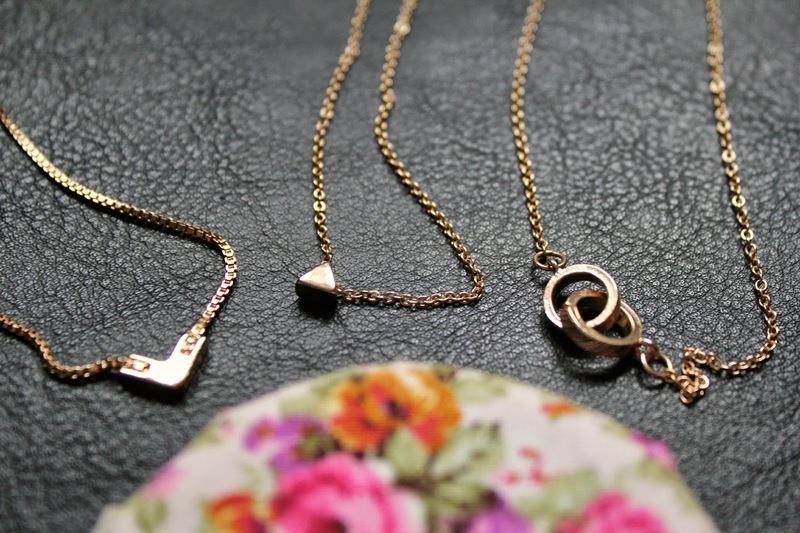 I much prefer dainty necklaces to statement pieces and these three are so pretty! I love Forever 21's jewellery they have such a good range. Amazing finds! I love really dainty pieces because chunky stuff doesn't always suit me so I have to think about wearing big statement pieces. this picture makes me weak at the knees lauren!